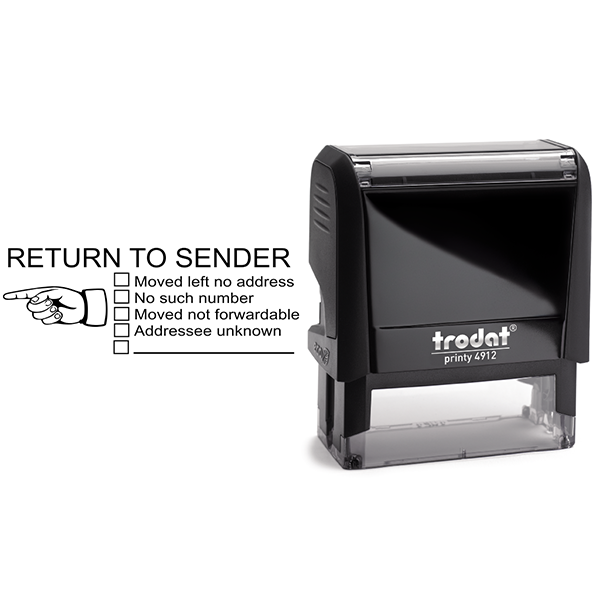 This flexible to use Return to Sender rubber stamp will be useful for anyone who touches mail. 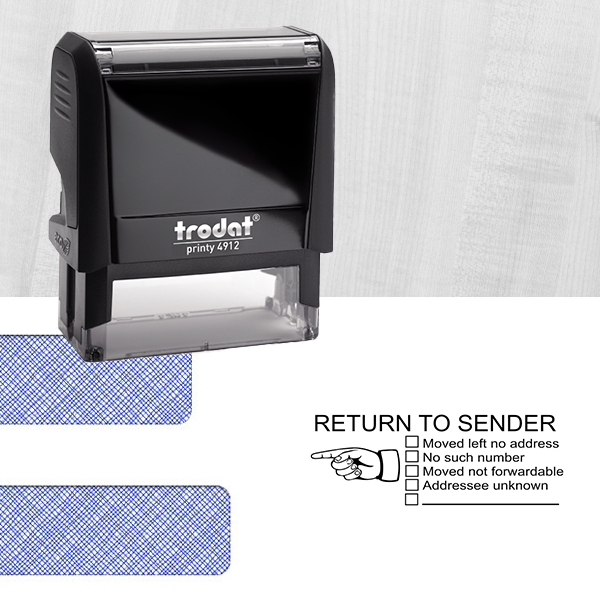 As part of our office stamp series, this stamp features the phrases "Moved left no address", "No such number", "Moved not forwardable", and "Addressee unknown". Additionally, a blank line is left for an additional reason. Available in a variety of colors at no extra charge! Available in two sizes starting at 1"x2.5". 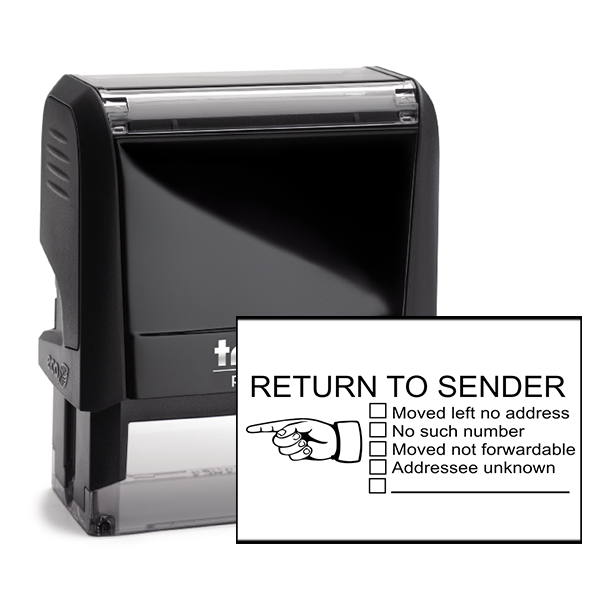 Return To Sender Checklist Rubber Stamp Details It’s a common fact of life that people move and sometimes, they forget to update others on where they are going. 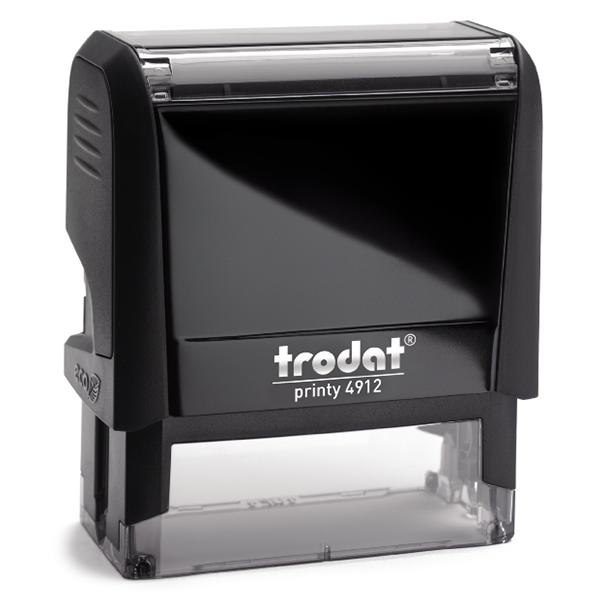 That is where this handy rubber mailing stamp comes into play. Simply stamp the envelope with this and then check off the problem in the designated field. Great for post office’s and mailmen, and will undoubtedly come in handy more than just once or twice! And should you opt to for a color other than black, we offer a great selection of alternate colors for you to choose from at no additional cost.